This is a new column where I’ll look at how a single comic book character or team has been adapted throughout the years. Think of this as the opposite of The Unadapted (The Un-Unadapted, if you will) in that this will be chronicling characters who have made multiple appearances in expanded media. 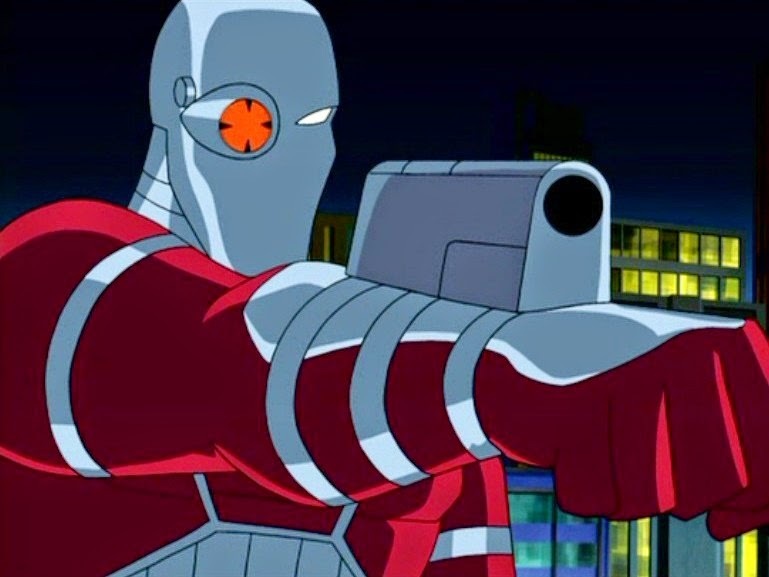 My first subject will be everyone’s favorite gun-for-hire: Deadshot! Deadshot (AKA Floyd Lawton) first appeared in Batman’s comic way back in 1950. He was a gimmick villain who posed as a hero trying to abdicate the Dark Knight’s throne as the top crime fighter in Gotham. He was eventually found out and sent to prison. At the time, he wore a costume consisting of a top hat and domino mask. Upon being released from prison, he was rebranded as a marksman for the highest bidder. Along with the change came a new costume consisting of a targeting reticle over his right eye which has become an iconic part of the character’s attire. Since his early days, the character has evolved into more than a run-of-the-mill villain. He is a father who is devoted to making a better life for his daughter, a nihilist who isn’t afraid to die when the time comes and a good friend to those he deems worthy. He’s also become a fixture in DC’s Suicide Squad, surviving more missions than just about anyone else. He even made the transition to the New 52 version of the team. With his devil-may-care attitude, it’s no wonder he’s been so popular outside of the printed page. Deadshot has had a long history in recent expanded media. His first appearance was in an episode of Justice League titled “The Enemy Below”. In it, he’s an assassin hired to kill King Orin (Aquaman) after he makes Atlantis’s existence known to surface-dwelling humans. He fails and is chased/apprehended by the League. He made sporadic appearances in some other episodes and then starred along with the Suicide Squad in “Task Force X”, an episode of Justice League Unlimited. In it, the Squad breaks into the JLU’s satellite and steals a weapon of mass destruction. It’s an amazing episode of not just JLU but of all comic book media. In the series, he’s voiced by Michael Rosenbaum who seems to be basing his vocal inflection on Kevin Spacey. Rosenbaum should be well known to CBM enthusiasts as he’s the voice of the Flash in multiple productions and played Lex Luthor for nearly a decade on Smallville. 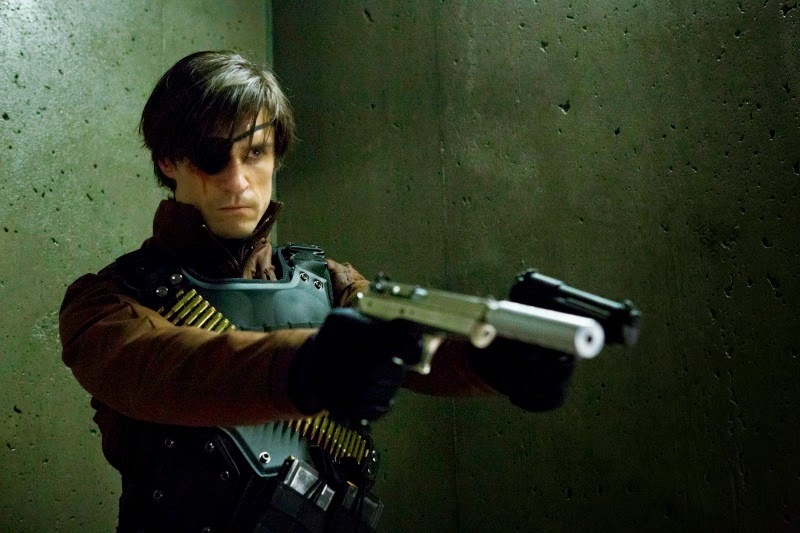 Speaking of Smallville, Deadshot’s first live-action appearance was in a minor role on the final season of that series. 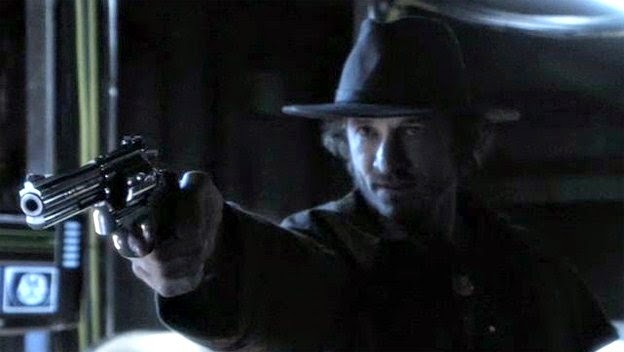 Bradley Stryker played him as a western styled gunslinger and member of the Suicide Squad. While a villain in his first appearance (titled “Shield”) he and Rick Flag (leader of the Suicide Squad) later rescued Clark’s proto-League. They aided in the fight against Darkseid and left on good terms with the heroes. Of note is that the character’s design in this series is based largely on the interior artwork for Secret Six issue #24 which reimagined the series as if it were set in the old west. 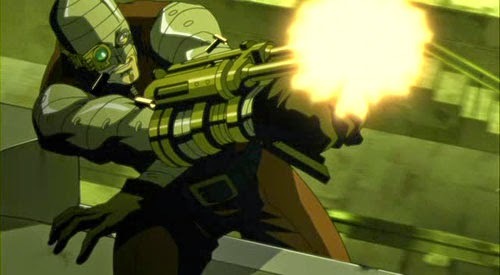 Outside of television, Lawton had a role in the anthology film Batman: Gotham Knight. 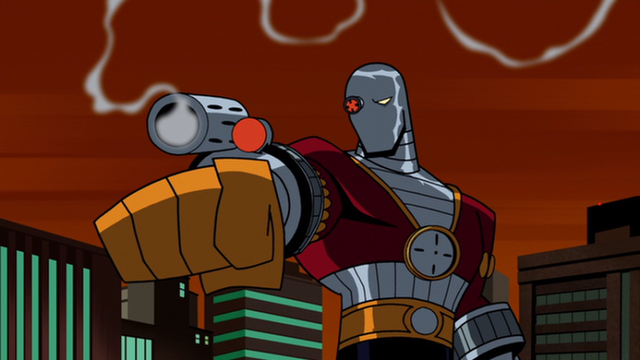 The final segment, titled “Deadshot”, cast him as an international hitman who travels to Gotham in order to murder James Gordon. He is portrayed as an aristocratic European rather than the blue-collar American assassin of the comics. However, his design is heavily inspired by his red and silver comic book costume. In the end, Deadshot and Batman have a fiery confrontation on a moving train and after he is captured and arrested, it’s stated that he’ll most likely be executed (a nod to the Suicide Squad perhaps?). He also had the lead role in the recent DC animated movie Batman: Assault on Arkham. As I’ve mentioned before, the film is an excellent showcase of Task Force X and the dark, yet playful tone fits the characters perfectly. Deadshot is essentially the hero of the story and a subplot involving his daughter is featured prominently. Not all of his roles in media have seen Floyd as the lead, however. In Batman: the Brave and the Bold, he was a one-off villain who fought Green Arrow on one occasion. And in Superman/Batman: Public Enemies, one of DC’s straight to video films, he’s seen amongst a group of villains who are looking to collect a massive bounty on the titular heroes. Most interesting to me is one of his cameo appearances that never materialized. In 1997, Kevin Smith wrote a script for Superman Lives, a pseudo-adaptation of the “Death of Superman” story. In the beginning, Superman comes into conflict with a group of mercenaries lead by Deadshot who are attempting to assassinate a senator. His small role was a way of displaying Superman’s powers to a new generation of theatre-goers. The film was never produced, but there is currently a documentary in the works chronicling its failure. Lately, the character has become a major player in multiple episodes of Arrow (a new adaptation of Green Arrow’s origin) throughout its first and second seasons. His initial portrayal on the show differs greatly from his usual appearances. He’s shown as a psychopath who tattoos his victims names on his body like some sort of Mr. Zsasz knockoff. However, subsequent appearances ignore this trait and humanize him considerably. By the time the second season rolls around, he’s seen as a flawed anti-hero who gains the respect of his greatest enemy on the show. Michael Rowe, the actor who portrays Lawton, has recently inferred that we haven’t seen the last of Deadshot in the Arrow universe. 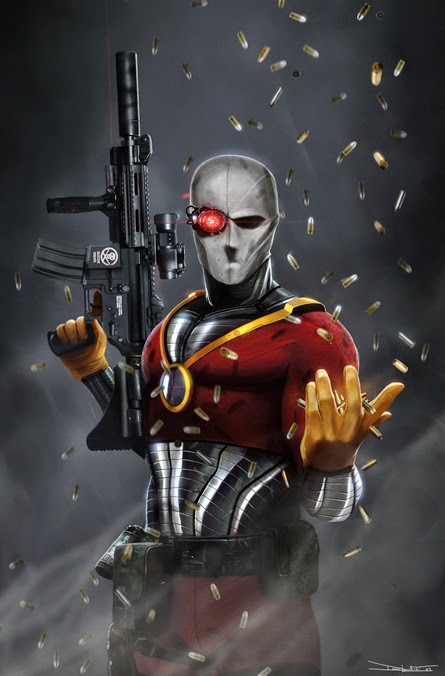 While I don’t usually discuss video games on CBM, I would be remiss to not discuss Deadshot’s appearances in the Batman: Arkham series. He is featured as a supporting villain in two of the main games in the series (Arkham City and Arkham Origins) and is also featured in Blackgate, the mobile sequel to Origins. In the series, which takes place in the same universe as Assault on Arkham, he’s voiced by Chris Cox and really plays up the blue-collar assassin aspect of his character. When first introduced in Arkham City, he’s being processed in the prison and pauses to tell you, Bruce Wayne, that you’re “on my list”. It’s almost treated as a cameo which makes it all the cooler when he comes back as a legitimate enemy within the narrative. While not the most prolific villain DC has ever created, Deadshot has sure shown up in his fair share of media. My personal favorite iteration has been Arrow‘s take on the character. It’s a characterization that’s struck a chord with audience members as a whole as well. Recently, there’s been a push to get the Suicide Squad it’s own spinoff much like The Flash. It’s uncertain if it’ll ever happen, but if it means more Deadshot, then I’m all for it. As for other appearances? Who knows. Now that DC is getting around to building a cinematic universe, maybe he’ll show up in some capacity on the big screen. Let’s hope it’s in a film that actually gets finished this time. UPDATE: Michael Rowe provided a cool bit of trivia regarding the two live-action Deadshots. @ComicBookMedia Fun Fact: Bradley Stryker was my very first acting coach. 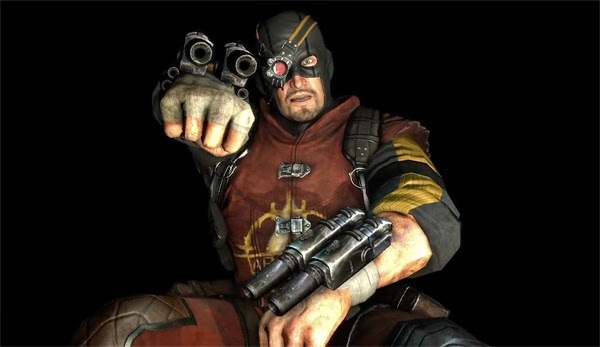 We are the only 2 people to play Deadshot in live action.